Orca Whale Watching Seattle, WA by San Juan SafarisSeattle Orca Whale WatchingPartners with San Juan Safaris and Kenmore Air for the best whale watch tour in the San Juans. "Savvy naturalists and lots of wildlife"
"Best Whale Watch I've Ever Been On!" Fun adventures for the whole family! 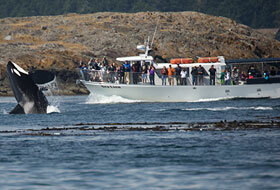 Partnering with San Juan Safaris for an incredible orca whale watching tour you’ll never forget. We’re located in the San Juan Islands just 90 miles north of downtown Seattle. 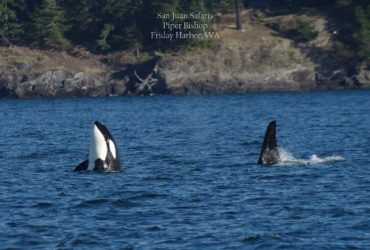 The San Juans are the best place to see wild orca whales in the United States. 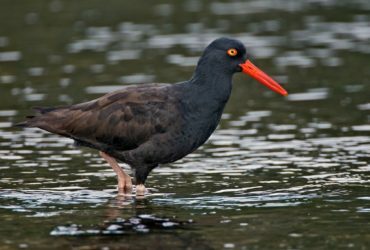 You’ll be amazed when you see the power and beauty of these incredible creatures in their natural habitat. Our tours are an easy day trip from Seattle by car and ferry or plane. Take the scenic route and drive from Seattle to Anacortes then hop aboard the ferry to Friday Harbor. If you’d rather, our Whale Plane can fly you direct from Lake Union in downtown Seattle to the Friday Harbor Marina. Call us at 800-450-6858 or email for more information or to make your reservation. See Seattle & Puget Sound from a new perspective! Fly from downtown Seattle to the Port of Friday Harbor on San Juan Island. 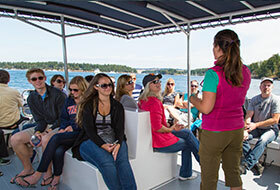 Then board our boat for a day of orca whale watching. 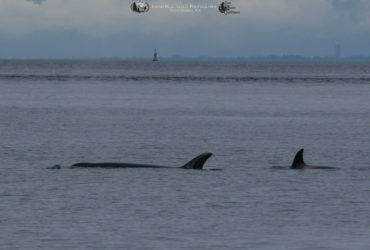 The calm waters around San Juan Island are considered by many to be the best place to see wild orca whales. 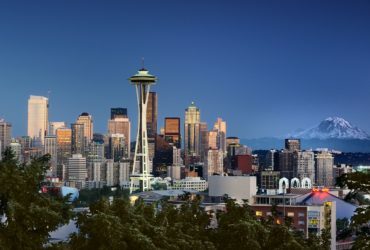 A wonderful day trip by car or plane from Seattle! 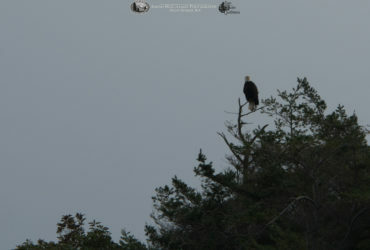 See whales and wildlife in the San Juan Islands up close. 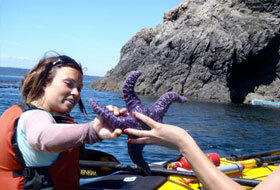 Explore the islands in stable sea kayaks with the help of our experienced guides. Day and overnight trips available! Our knowledgeable and friendly guides and naturalists are eager to teach you about whales, wildlife, and the local area. We’re here to help you have the trip of a lifetime. At Seattle Orca Whale Watching (in partnership with San Juan Safaris) we take great pride in providing you with the best orca whale watching and wildlife tours in the Pacific Northwest. Our guides and naturalists work to create educational, fun, and engaging tours that provide our guests with memories to last a lifetime. As a member of the Pacific Whale Watch Association, our captains are in constant contact with all vessels on the water and track all whale sighting in real time. 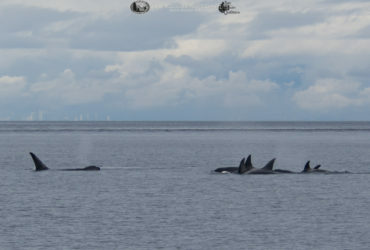 We see orca whales on over 90% of our tours during peak season. 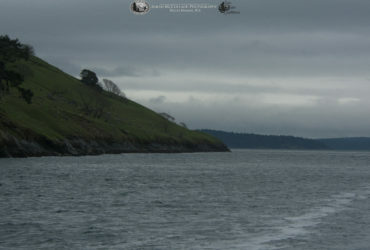 Our main vessel, the Sea Lion is one of the newest and fastest vessels on San Juan Island. We travel further and faster than other whale watching tours, letting us cover more water and increasing our chances of seeing whales. The Sea Lion is spacious and a comfortable 55 feet long. She’s U.S. Coast Guard approved for 49 passengers, but we limit all tours to 40 guests. This helps to make sure that there’s plenty of viewing space along the railings. All of our tours are staffed by marine naturalists who will teach you about the wildlife, ecology, and geology of the Salish Sea. We encourage you to ask questions and love to share stories about the orcas and local area. Our experienced boat captains make sure you get the best views possible and have been working in the area for many years. San Juan Safaris is widely known for having the most experienced staff on the water and we’re proud that many of our team members have been working with us for almost a decade. 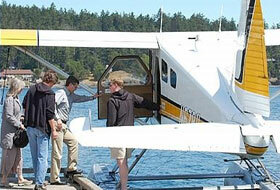 There are two easy and beautiful ways to access San Juan Island – by plane or car and ferry! At San Juan Safaris we work exclusively with Kenmore Air to create a one-of-a-kind Whale Plane Package for a fun, easy, and quick day trip from Seattle. You’ll fly on a float plane from Lake Union in downtown Seattle to the Friday Harbor Marina. The flight takes just 45 minutes and you’ll land steps away from our storefront and vessel. The package includes both roundtrip airfare and a Whale Watch and Wildlife Tour. Want to spend the night on San Juan Island? No problem! You can fly back at a later date at no extra cost. From downtown Seattle you can drive to Anacortes and catch the Washington State Ferry, part of the Washington Scenic Byway. You’ll love the relaxing ferry trip that winds through the San Juan archipelago to its final destination of the Friday Harbor ferry terminal– just steps from San Juan Safaris! If you’re planning a whale watching trip to the San Juan Islands, just ask us and we’ll be more than happy to help you plan your trip. We are located at 950 Westlake Ave N, Seattle, WA 98109 Phone: (800) 450-6858, you can also reach us through our partner San Juan Safaris, their office and whale watching vessels are conveniently located next to the ferry terminal in Friday Harbor and are located close to shops, restaurants, and hotels, and are a quick walk from anywhere in town. Questions? Call us now at 360-310-4347 or (800) 450-6858. Our Whale Watching office is open daily in season 8 AM to 8 PM Pacific Time.